Dazor's 30-Inch Flexible Hi-Lighting Clamp Base LED Illuminating Magnifier is the ideal Dazor Magnifying Lamp and low vision enhancement tool for viewing details on uneven surfaces. Exact positioning of the light source behind the lens casts the light at an angle creating shadows to emphasis contrasts on irregular surfaces. 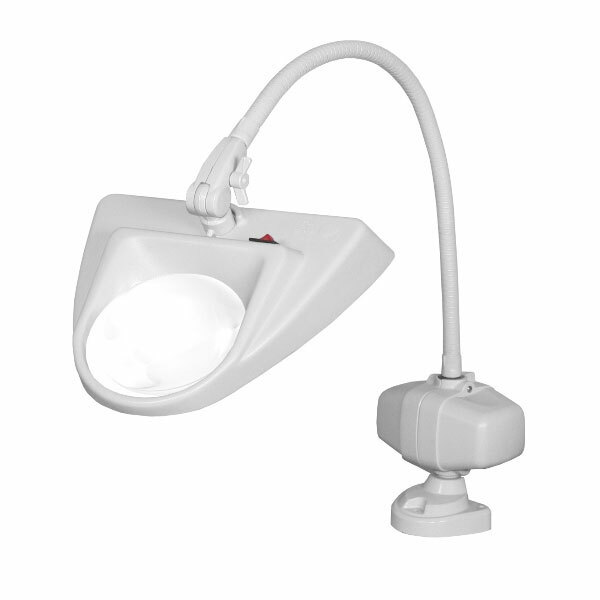 This 5-diopter Dazor Hi-Lighting LED Magnifier (2.25X) features a clear crown-optical glass lens for clear and distortion-free viewing, a flexible gooseneck-style arm providing a total reach of 30 inches, electronic ballast for greater energy-efficiency, a sturdy base with durable powder-coat finish that can be clamped or permanently bolted to a horizontal surface and a 5-year warranty.